Product Detail Summary: Blending into even the most hostile environment undetected, the Ghillie Suit Sniper is an expert marksman and a member of the highly specialized Tactical Mission squad. A motion sensor to detect enemy movement helps ensure that the scene is recreated with striking authenticity. 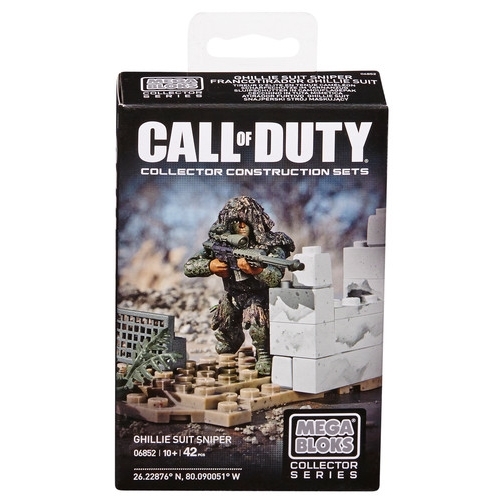 The Ghillie Suit Sniper also comes with a buildable base that includes ground cover, a highly detailed camouflage suit and a dedicated weapon. For ages 10 and up.